Alistair's passion is enabling people of all abilities to make music. As a teenager, he conducted several ensembles, and Bexley Music School rewarded him with a scholarship to study conducting with Bryan Fairfax to learn how to do it properly! He studied conducting with Sebastian Forbes, Alasdair Mitchell, Owen Rees and Nicholas Conran (including Feldenkrais, using gentle movement and directed attention to improve communicative gesture). Alistair has participated in choral-direction masterclasses with Mike Brewer, Stephen Cleobury and David Hill. 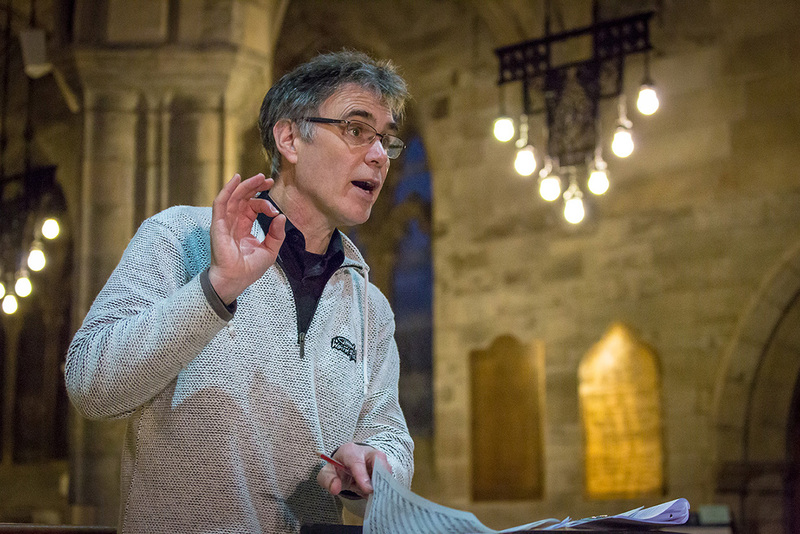 Since 2009 Alistair Warwick has been Conductor of the Stirling University Choir, as well as its Chamber Choir. He founded the Dunblane Chamber Orchestra in 2008, and conducted their first three concerts. He has also conducted the Rosenethe Singers in concert (December 2006, March 2008 and May 2010), as well as taking many full and sectional rehearsals. John Rutter’s captivating “Requiem” [was] sensitively and movingly performed by the 70 strong choir of students, staff and members of the local community… The choir has come on by leaps and bounds since its formation in 1971 and on Saturday’s showing is one to watch. There were moments when it was hard to realise that this was an amateur orchestra. That wasn't just good, that was fabulous! The University Choir are sounding better than I've ever heard them. It was inspirational to choose Mackenzie's 'Benedictus'. Congratulations on an excellent concert. I learned more from you in one short rehearsal than I have in years. Alistair's repertoire is wide-ranging, both in musical style – from chant to jazz – and in the size of the musical group – from just a few singers or instrumentalists to ensembles of over 100 performers. Corelli: Concerto Grosso Op 6, no 8 "Christmas Concerto"
Haydn: Symphony no 85 "La Reine"
Yeadon, Joseph: "Ummm.... (can't think what to call it!)"